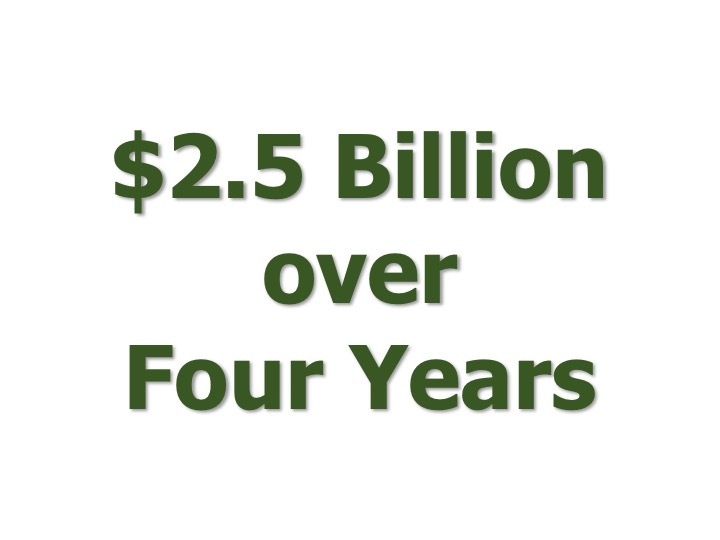 In the past 4 years, CRC’s agreements with banks have resulted in more than $30 billion invested in California communities. CRC’s approach to bank advocacy is based on clear and transparent research, analysis, and public benchmarks that are accountable to communities of color and low-income communities. These agreements with banks were negotiated with communities and community members at the table and resulted in commitments of between 10-20% of California deposits to be reinvested in local communities. 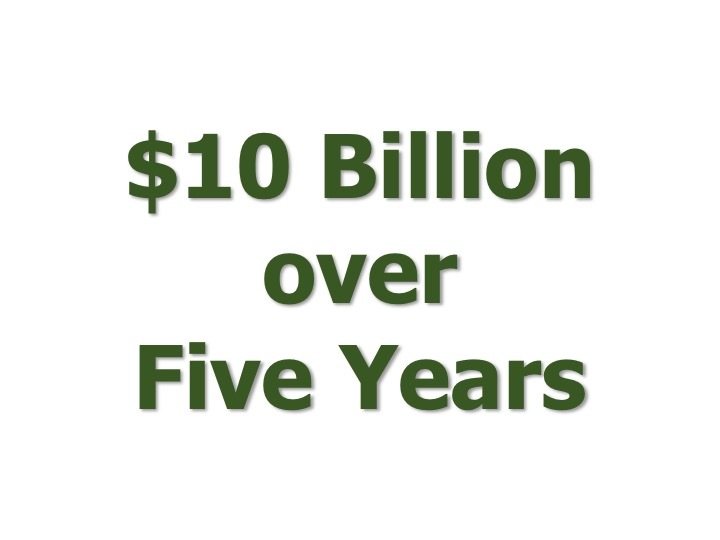 Our work with banks is guided by the Community Reinvestment Act. 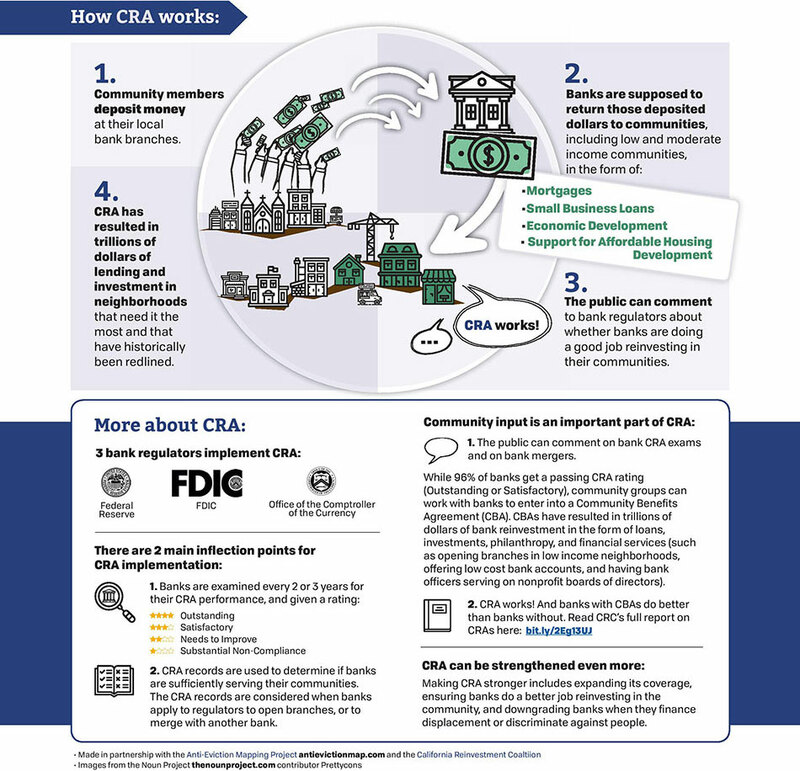 This infographic shows how communities use CRA to keep banks accountable and investing in their neighborhoods. The Community Reinvestment Act (CRA) is a federal law that is a response to redlining. CRA creates a duty for banks to reinvest in communities where they take deposits, including low and moderate income neighborhoods. 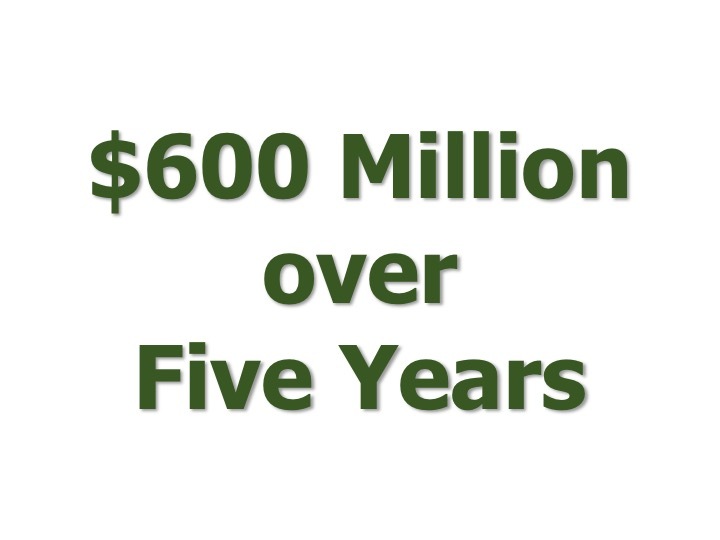 The plan includes a commitment of $600 million over 5 years towards community development in San Bernardino County. This agreement, negotiated as part of Flagstar’s acquisition of Desert Community Bank, meets CRC’s gold standard for bank investments, lending, and services in communities of color and low-income communities. The plan calls for the bank to achieve a minimum of $11 billion in cumulative qualified CRA activity during the next five years. 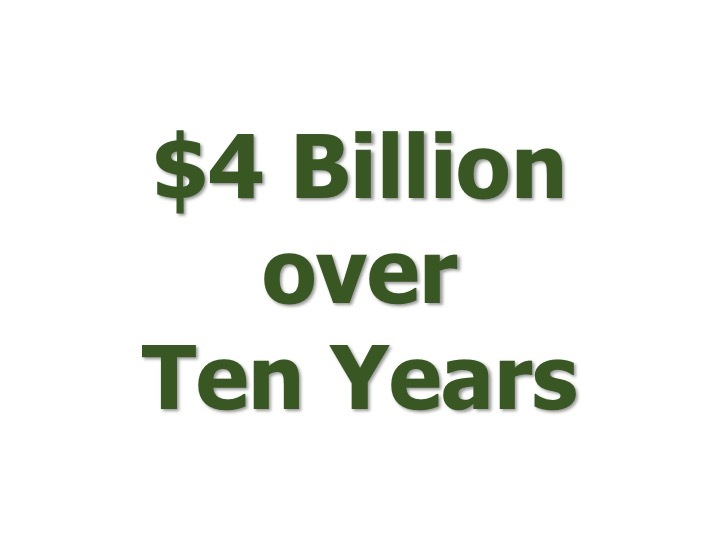 This amount corresponds to the bank’s goal of reaching a level of qualified CRA activity equal to 15% of the bank’s normalized California deposits by 2021…. Under the plan, Mechanics will work towards an annual amount of CRA qualified loans, investments and services provided within its service area that will equal at least 15% of its California deposits by 2019, as measured each year-end and excluding time deposits, and ensure that the distribution of its lending reflects the diversity of the population within its assessment areas.